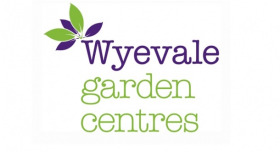 Wyevale Garden Centres has announced it has sold its garden centres in Croydon Purley Way, Sidmouth, Solihull and Windsor. Sidmouth and Solihull have been sold to operators who are expected to continue to run them as garden centres. Windsor will continue to operate as a Wyevale Garden Centre whilst its new owner progresses longer term redevelopment opportunities. Croydon Purley Way has been sold to a party related to the existing landlord, and is expected to continue to operate as a garden centre for up to two months. Chief executive of WGC, Roger Mclaughlan said: "We are pleased to have agreed the sale of four more of our garden centres. Across all four centres we would like to thank our great colleagues, who have been central to our turnaround in the past few years. In the case of Windsor, we will continue to operate as a Wyevale Garden Centre with no immediate impact. "For those centres being sold to garden centre operators we would like to wish our colleagues well under the new ownership, and in the case of Croydon Purley Way, which has been sold for alternative use, we are very pleased to honour our commitments to our colleagues and partners and will seek to redeploy our excellent colleagues to our other garden centres wherever possible". Chief financial officer of WGC, Anthony Jones said: "The centres sold to date had been highlighted as ‘non core’ as part of our ongoing portfolio review, which pre-dated the sale process. The sale of these centres reflects our continued pursuit of positive outcomes for our colleagues, concession partners, suppliers and customers. We are very grateful for the dedication and commitment of the teams at these centres, and we’ll continue to support them through the transition." The company has said it has received a significant number of offers for all or part of the remaining WGC business from national, regional and financial operators as well as local entrepreneurs. The company sold four garden centres earlier this month to individual buyers, and a further five a week previous, taking the total to 13 current centres that have been sold. Croydon Purley Way has been sold to Ultratown Limited, Sidmouth has been sold to Kings Garden and Leisure Limited, Solihull has been sold to Rosebourne Limited, while Windsor has been sold to Wates Developments Limited.